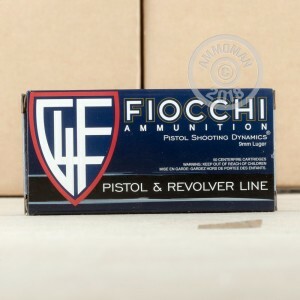 Fiocchi has introduced a new round for this year's 9mm shooting enthusiast! It's an affordable 9mm round that is fully plated with copper, known as a "Complete Metal Jacket" (CMJ). A CMJ is a great choice for the indoor shooter, who prefers to minimize the lead vapors in the air. In contrast, a "Full Metal Jacket" (FMJ) is a bullet with plating everywhere EXCEPT for the rear...which is where the hot gases make contact with the bullet, forcing lead into the air around the shooter. 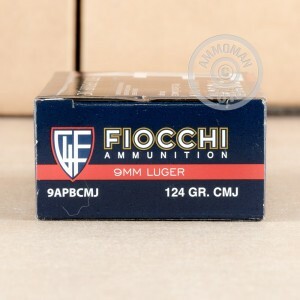 These Fiocchi CMJ rounds are similar to "Total Metal Jacket" (TMJ) rounds, but more affordable due to a process called electrolysis, which applies a thinner layer of copper to the lead core of the bullet. 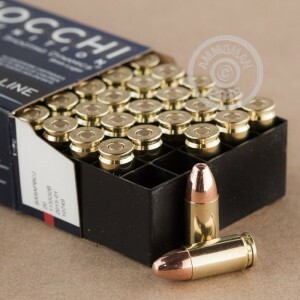 Fiocchi ammo is non-corrosive and uses boxer primers in new brass cases. This ammo will feed into your favorite pistol as smoothly as it looks! Pick up this case or any other items over $99 at AmmoMan.com to qualify for free shipping!